Peace and calmness is oozing out of these blooms – isn’t it? 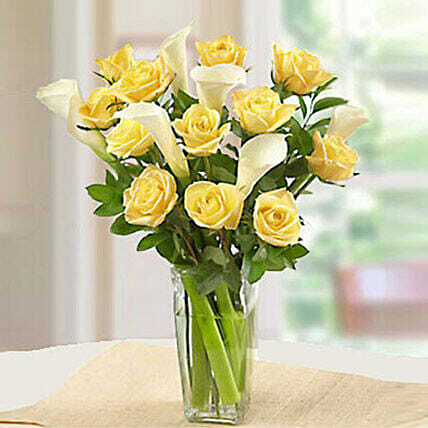 This special arrangement of a dozen yellow roses with half a dozen of white calla lilies is meant for brightening the day of your loved ones. On any kind of occasion, you can get this floral piece for your near and dear ones.